It’s no secret that I like to run, bike and swim — A LOT. So, when I heard that there was a Wellness Jenafit that can help offset the costs for my gym membership, coaching fees, race entries etc., I was super-psyched. Triathlon training can get expensive! My other Jenafit, the high speed Internet + Amazon Prime membership, feeds my guilty pleasures. I call this one the “instant gratification package”. Some might love this for the streaming videos etc, but not me. Now I can surf and shop at lightning speed, without leaving the living room. Many folks at Rustici will tell you that I’m a bit of a Groupon hoarder (I’m a sucker for those deals). So, a faster way to buy the latest massage deal is right up my alley. But, my online shopping habits aren’t just limited to Groupons. If I can buy it online rather than go to the store, I’m all for it. That’s where Amazon Prime comes in — free 2-day shipping? Dog food delivered to your door? All for it. So there you have it — the Jenafits that I chose. 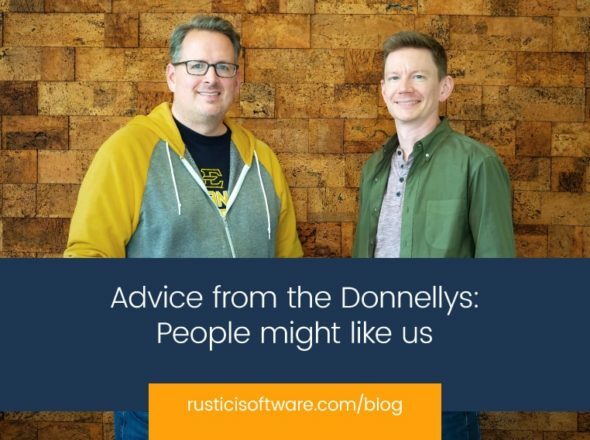 Want to learn more about any of us here at Rustici? Just ask us which Jenafits we picked.